Vivacious but also uncompromising, for glamorous evenings as well as for every day, Tissot's newest ladies' watch is a future classic with so much to offer. 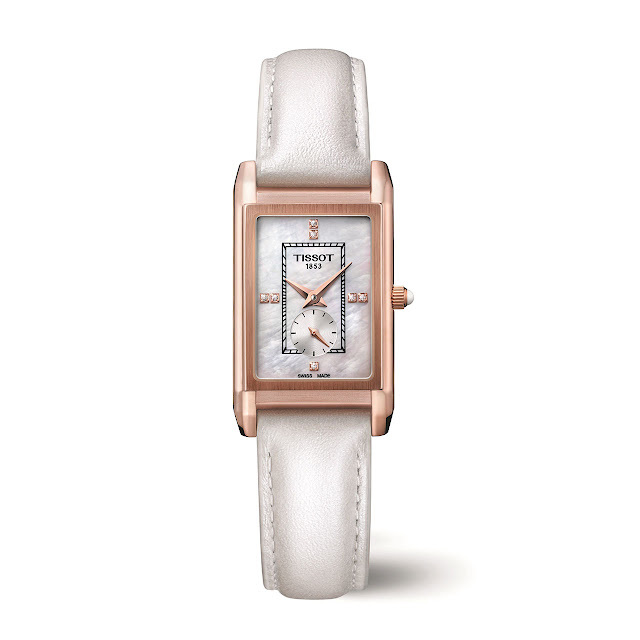 Inspired by the Roaring Twenties, the Prestigious brings elegance and refinement to every aspect of life. 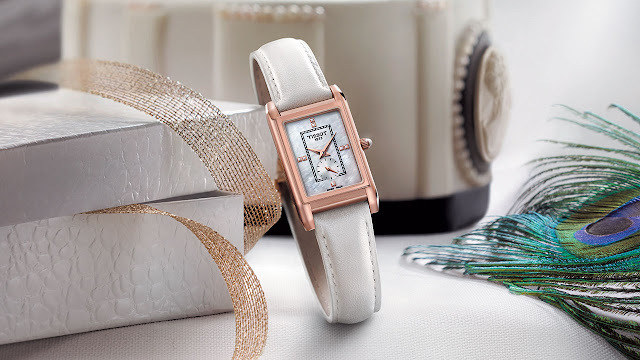 Its pleasing rectangular form, crafted from gold, frames a silken mother-of-pearl dial that is ringed by Roman numerals for a classic appearance or by seven diamonds for the red-carpet touch. Proposed as five versions – a silver-toned dial with yellow gold case and a glossy brown leather strap, a black or silver-toned dial matched with pink gold and a glossy black strap, and a shimmering version in which diamonds complement the pure beauty of mother-of-pearl, on a black or white strap – there is a Prestigious watch for every occasion and every outfit. Contemporary details such as the black or white ceramic cabochon on the crown add a subtle finishing touch to this modern, stylish timepiece. 18k yellow gold or pink gold, 20 x 34.5 mm. Sapphire crystal. Water-resistant to 3 bar (30 m/100 ft). White mother-of-pearl, silver-toned or black. Roman numerals or diamond hour-markers. Small seconds at 6 o'clock. Pearly white, glossy brown or glossy black leather with butterfly clasp.